FALL RIVER, Mass. – Southcoast Centers for Cancer Care, a part of Southcoast Health, today announced that it has joined the Brown University Oncology Research Group (BrUOG) network in order to expand the scope of its existing Oncology Clinical Trials Program. BrUOG is a network of Brown University-partnered hospitals known for cutting edge trials and innovative therapies. Studies done out of the BrUOG network have made significant contributions to cancer medicine and continue to set the stage for clinical trials being done nationwide. Through this partnership, Southcoast patients with a broad range of disorders, including cancers of the breast, brain, lung, gastrointestinal tract, skin and prostate, as well as leukemia and lymphoma, will have access to clinical trials specific to their condition. Many of these trials utilize novel therapeutic agents or new combinations of treatments in an effort to improve outcomes. Also by partnering with BrUOG, Southcoast physicians will have the ability to develop their own research ideas, while working in collaboration with BrUOG-affiliated physicians. To date, Southcoast has partnered with Boston Medical Center (BMC) to offer clinical trials as part of their National Cancer Institute (NCI) Minority-Based Community Clinical Oncology Program (MB-CCOP). This has allowed Southcoast oncologists to participate in NCI-sponsored cancer prevention, control and treatment clinical trials with special efforts to raise awareness and participation by minorities. 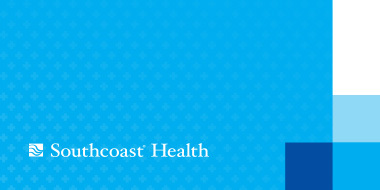 In addition, trials of new therapies and supportive care are currently enrolling patients at Southcoast. For more information regarding the Oncology Clinical Trials Program at Southcoast, call 508-973-3152 or visit http://www.southcoast.org/cancercare/trials.html.